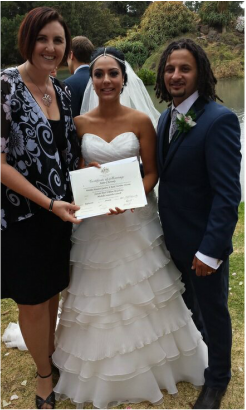 I live locally to the Western Suburbs and I perform many Wedding Ceremonies in Werribee each year. There are so many beautiful locations in the area. Werribee Park, Werribee South Beach, Mambourin Sensory Gardens and the Victorian Rose Garden are picturesque. There are also many historic houses such as Carter Cottages and Werribee Mansion. For something different you could get married at Werribee Open Range Zoo or at the many unique spots along the Werribee River. call me today or complete my online enquiry form.